As a practice we always strive to meet patient expectation and deliver the highest standards of healthcare. Our staff come to work to care for others, and it is therefore important for all members of the public and our staff to be treated with respect. 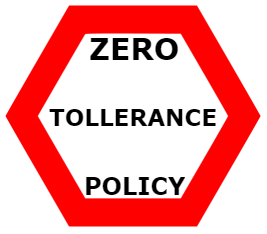 In line with the rest of the NHS and to ensure this is fully observed we have instigated a Zero Tolerance Policy whereby any aggressive or violent behavior towards our staff will not be tolerated under and circumstances. The practice considers aggressive behavior to be any personal, abusive and/or aggressive comments, cursing and/or swearing, physical contact and/or aggressive gestures. The practice will request the removal of any patient from the practice list who is aggressive or abusive towards a member of staff; other patients, or damages the property.